The four Hyderabadi men were mistaken to be part of a child-kidnappers gang on the prowl as spread via the instant messaging app. 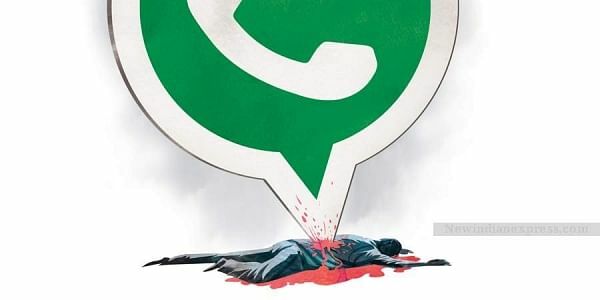 HYDERABAD: In continuation to the spree of lynching incidents based on rumours spread on WhatsApp, a man from the city was lynched to death and his three friends sustained critical injuries after a mob of at least 2500 men attacked them at Murki village in Bidar, Karnataka. Four policemen also suffered critical injuries. While Md Azam succumbed to his injuries in a Bidar hospital, his friends Tahala Ismail, Md Saleem, and Md Basheer were injured. Except Basheer who is a Bidar resident, the other two were brought back to the city for treatment. As many as thirty-two persons from the village have been arrested in connection with the mob violence. The incident occurred on Friday when the group, while on their visit to a local lake, halted for lunch in Adhikera on the outskirts of Bidar. The incident took place when Ismail, who returned from Qatar recently, offered chocolates to school girls there. But, the locals questioned and mistook them for child lifters. Though Basheer, a local among the four, tried to pacify the mob, all attempts went futile. Calling them non-locals, the mobs' suspicion further intensified as they identified the car to have a temporary registration number. In the meantime, a local shot a video and shared it across to others through a WhatsApp group called 'Murki brothers'. The locals started thrashing them and out of panic, the four fled from the spot heading back to Hyderabad. But, while crossing from Adhiker to Murki, the speeding car at 120 kmph smashed a two-wheeler injuring the rider. The car also toppled and fell inside a pit. After the car fell in a pit, another group of locals identified them based on the video shared on whatsapp and started pelting stones on them. Soon, more and more locals from adjoining villages joined the mob assaulting them. Meanwhile, four constables and an ASI who were deputed to bring the situation under control and protect the group were also assaulted. The Superintendent of Police (SP) of Bidar district, D Devaraja, soon deployed additional personnel and ordered a lathi-charge. "The crowd could only be brought to control after we enforced the lathi-charge.," he said. A total of 32 persons including a WhatsApp group admin and the person who shared the video was arrested.